Assumption Catholic Church's Annual Fried Chicken dinner is going on today. They will be severing food till 6 p.m. The Missouri State Highway Patrol joins the National Crime Prevention Council in observing October 2011 as National Crime Prevention Month. It is always smart to keep safety in mind, no matter where you are. Missourians can help decrease crime with these simple habits: Anticipate potential crime situations; recognize when there is a problem; and, take action to remove or reduce the risk of a crime occurring. The Patrol urges residents and visitors to be alert and think safety! Cunningham dead set on passing "Facebook law"
JEFFERSON CITY, Mo. -- For a topic of conversation that has captivated the education community for most of the last two months, the passage of legislation on the “Facebook Fix” in the State Senate was anti climactic. 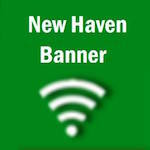 New Haven wins two straight – Will be Rocking into today’s Round-Robin Tournament. New Haven, Mo: -- At the Lady Rock's last home game it was 100 degrees outside and about 110 degrees inside, at least that is how it felt. What a difference two weeks can make. St James, Mo – The Lady Rocks made the long road trip to St. James on Tues,. Sept. 13. This was the Lady Rocks first Four Rivers Conference match. The Lady Rocks were all business winning in two sets, 16-25, 8-25 improving to 7-5 on the season ending a three game losing streak. On Sat., Sept. 10, the mother of an 8-month old male picked him up from his father. The mother and father of the child are currently separated. The mother noticed what appeared to have burn marks on the child’s leg area. The mother took the child to Mercy Hospital in Washington, Mo. The emergency room physicians examined the burns and also located a head injury. Pictured left: Elise McDonald smashes one of her 11 kills in last night's game. Shamrock Volleyball teams have a tough weekend ahead. 2nd Shift Brewing Company hosted the Chamber of Commerce’s Business after Hours this evening. Employees of area businesses were treated to beer that was brewed on site by 2nd Shift Brewrey. Music Booster's BBQ for lunch and Marching Band at 5 p.m. Tomorrow is the traditional Shamrock Marching Band Dress rehearsal along with the Music Booster’s BBQ at the parking lot of New Haven’s Save-A-Lot. People will line the streets to watch the band march through town. This has been a tradition for over 30 years. Pictured above: Minutes after we arrived on scene, the residence was fully engulfed in flames. The United Way helps to “light the way with hope” by strengthening families, nurturing children, assisting the elderly and disabled, and providing emergency services to citizens of Franklin County. Pictured above: Kathleen Scheer knocks down a pull up jumper during a home game last year. New Haven/Berger Fire crews responded to a report of a transformer on fire in the 400 block of Miller Street. When fire crews arrived they observed flames from the top of the telephone pole. We spoke with one resident who said they had not lost power. Ameren has been dispatched to the scene. Pictured above Left to right: Mayor Panhorst, Steve Roth, Charles Hurth, and Tori Panhorst discuss the proposed water usage rate increase.